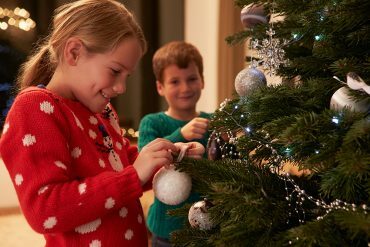 The key is to plan early – Christmas can be an extremely busy time for all the family, with lots of activities and festivities for everyone to enjoy. Separated families should try to plan their Christmas arrangements as early as possible so that there is plenty of time to agree matters. Try not to leave it to the last minute otherwise there is a real risk you may find it too difficult or indeed too late to make an urgent court application in time and, in any event, court proceedings should be considered an option of last resort as they are likely to result in an already stressful period only becoming even more stressful. If there is a clash of events then you will need time to consider a solution. Ideally, you should try to agree the Christmas contact arrangements by the end of November, but if that is not possible, then there are lots of other ways you can try to resolve matters amicably. Speak to your children and listen to what they have to say – For many children this may be the first year in which their parents are separated at Christmas. It may be a very difficult time and you should agree how to explain the situation to them. Give your children an opportunity to tell you how they feel and try to reassure them. It is not fair to ask children to decide where they would like to spend their Christmas holidays as it places them in a difficult position and may cause them unnecessary upset, especially if they are young. However, the wishes of teenagers and older children should be taken into account, even if this is disappointing for one or either of the parents. Organise the handover details and stick to them – Be sure to write down the dates, times, location, collection and pick up arrangements, and stick to them. This will avoid any last minute misunderstanding or disagreement. Agree in advance who will be responsible for drop-off and collection, or whether it will be alternated. Communication is essential – Parents in the midst of separation or divorce often find it very difficult to communicate with one another. Decide what works best for you, whether that be face-to-face discussions, telephone, text message or email. Try to remember that you will always be the child’s parents and focus on the long term rather than only the Christmas period. Try to discuss the arrangements openly and honestly, taking into account any special activities or events the other parent wants to enjoy with the children. Be prepared to compromise and not be too demanding otherwise communication is likely to break down making it even more difficult to organise the arrangements amicably. Remember you may need to be flexible and be sure to keep the other parent informed of any unexpected change of plans or special arrangements. Consider alternating Christmas arrangements – The first Christmas after separation is often the hardest as both parents will most likely want to see their children on Christmas Day. Try to approach the arrangements fairly and think about what will be in the child’s best interests. Consider whether to alternate Christmas Day and Boxing Day year on year. Other options could include sharing Christmas Day (can work if both parents live fairly close to one another so that the children spend the morning with one parent and the afternoon with the other) or breaking the Christmas period into blocks of days (i.e. the children spend Christmas Eve and Boxing Day with one parent, whilst they spend Christmas Day and other days with the other parent, alternating year on year). Alternatively, you may decide for the children to spend time with one parent over Christmas and with the other parent over New Year, alternating year on year. Or you may decide to spend time together on Christmas Day so that you all open presents in the morning and perhaps even have Christmas dinner together. Think about what is best for your children and what is the least stressful arrangement for all concerned so that Christmas can be enjoyed. Avoid entering into a Christmas gift competition – If possible, try to discuss what presents you will each buy the children at Christmas so as to avoid duplication and the temptation to ‘out-do’ the other parent with the showering of gifts. Consider whether it is possible to buy a joint gift, particularly if both parents are going to be there when the children open their presents. Think about grandparents and other family relatives – Often when families separate it can be difficult for children to maintain the close relationship they may have previously enjoyed with grandparents and extended family over the festive period. Consider ways of enabling the children to spend time with their other relatives over Christmas. Travelling abroad at Christmas – For some families there is an international element to Christmas which may also have to be taken into account. If one parent is travelling abroad with the children at Christmas then you must ensure that the flight, travel, dates, location and communication details are all agreed well in advance and recorded by both parents. Remember the consent of both parents will be required before you travel abroad with the children. Think about telephone, Skype or FaceTime contact on Christmas Day and agree how to deal the handover and return of passports. Keep it out of court – The festive period can be a very stressful time for many families. If you cannot agree the arrangements for the children then take advice from a specialist family lawyer or consider enlisting a mediator or collaborative lawyer to help resolve the arrangements amicably rather than applying to the family court where the proceedings can be very stressful and costly. Above all, try to put the children first and remember that Christmas should be about everyone having fun and enjoying themselves. This may mean trying to put aside your emotions for the festive period and compromising on the contact arrangements for the sake of the children so that they can enjoy all that Christmas time has to offer. Shelley Cumbers advises clients on all aspects of private family law and is a member of Resolution and a Collaborative Lawyer. She is committed to resolving matters constructively and sensibly. To find out more about how Shelley can help, please contact her on 01206 217078 or by email at shelley.cumbers@tsplegal.com.